This is a guest blog post from our friends at liveonriviera.com. Puyallup is a largely suburban area in Washington, with a residential population of approximately 39,637 people. This originally quaint and charming town hosts one of the biggest fairs in the US which has drawn significant attention from tourists and visitors around the country. In recent years, many families have started living in Puyallup especially because of the significant property development in the town giving it a mix of both the historic appeal and a relatively modern feel. Here are several reasons why you should consider living in Puyallup. The Washington State Fair holds every September in this beautiful town of Puyallup with a full calendar of activities such as the concert series, the animal petting zoo, the giant pumpkin displays and carving contests too, the awesome rides and roller-coaster, let’s not forget the scones. The Fairgrounds also puts up other events throughout the year including the Puyallup Spring Fair which is basically a miniature version of the State Fair with all the great rides, free entertainment, great fair food including scones and a great firework display to welcome the spring season. There are also a lot of car shows during the year, a very vibrant fireworks event for the Fourth of July celebration, Washington’s own Munich-styled Oktoberfest infused with all the German entertainment, games and of course the beer; and the Victorian Country Christmas. This town is full of so many fun events, you never miss a beat. Puyallup, Washington is only about 36 miles (58 km) away from Washington State’s largest city of Seattle with its seaport; providing a home to leaders of the technology industry and of course housing the futuristic Space Needle. Puyallup is also only about 11 miles (17.7 km) from the popular glass town of Tacoma. These short distances make it an ideal living area for the warm small-town draw with easy access to the cities only a short commute away. The housing industry in Puyallup is now very attractive for everyone including people who choose to buy properties and those who prefer to rent. There has been an increase in new property development in the town offering affordable houses for sale at an average price of about $278,900 and providing many houses for rent at about $1,125. About 47% of residents in Puyallup have long term rentals while about 53% are property owners who were able to buy any of the houses for sale in Puyallup. It is indeed fair to say that even if you have a long-term lease or you buy the property, you will still feel at home in Puyallup. In terms of education, the school district in Puyallup was given a B+ average rating by its residents indicating that the public schools are quite good especially as there are a significant number of the schools which are rated A- with an average of 1 teacher for every 20 students. The students are made to feel welcome by the staff and teachers who focus on providing the students with the necessary support for them to achieve their goals. The schools also encourage the students in their artistic and athletic abilities ensuring that they are well rounded individuals. This developing community has opened new business and entrepreneurial opportunities for shops, retail stores, supermarkets and restaurants. Professionals can take advantage of this growing market to promote their business ventures and similar aspirations. The South Hill Mall in Puyallup is one of such business opportunities, featuring a collection of several stores both inside and around the building. There are all the staple shops along with a movie theatre and several restaurants located in the food court making it an ideal place for your complete shopping experience. The diverse nature of Puyallup is also a source of comfort to its residents as there is an incredible balance between the male and female population which are spread across all age ranges with every age group forming about 9% to 15% of the population. The residents in the area are also diverse in terms of education levels as over 60% have obtained an equivalent of a college degree or higher. This may also be reflected in the average household income of about $65,719 while the average individual income is at $33,233; both higher than the national average. Puyallup, in its diversity welcomes everyone into its community ensuring that all its residence feel a sense of belonging regardless of age, gender, family or financial status, it opens its arms to all inviting them into its warm embrace. 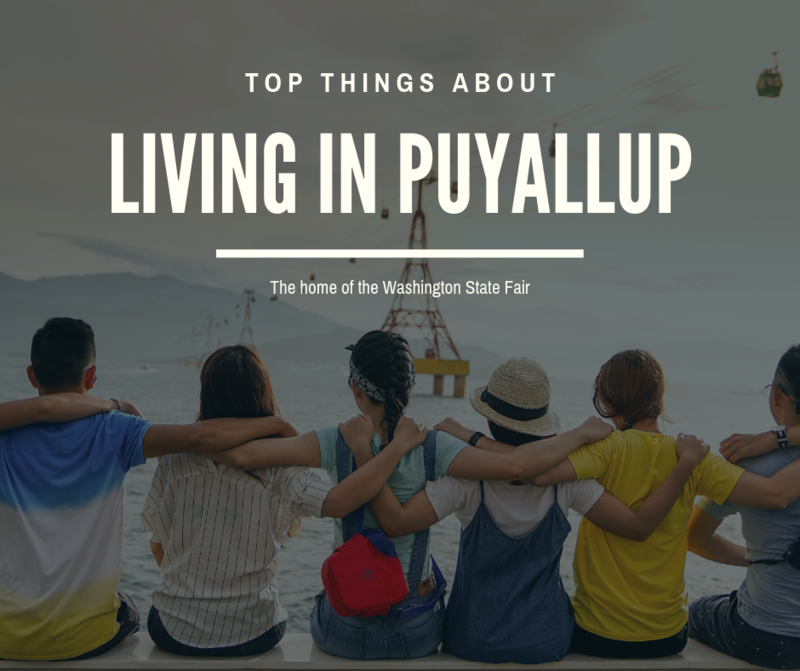 Getting acquainted with the community is as easy as sharing a meal with the neighbours, exploring the side roads to reduce the time it takes to commute or simply meeting new people at any of the Puyallup festivals. 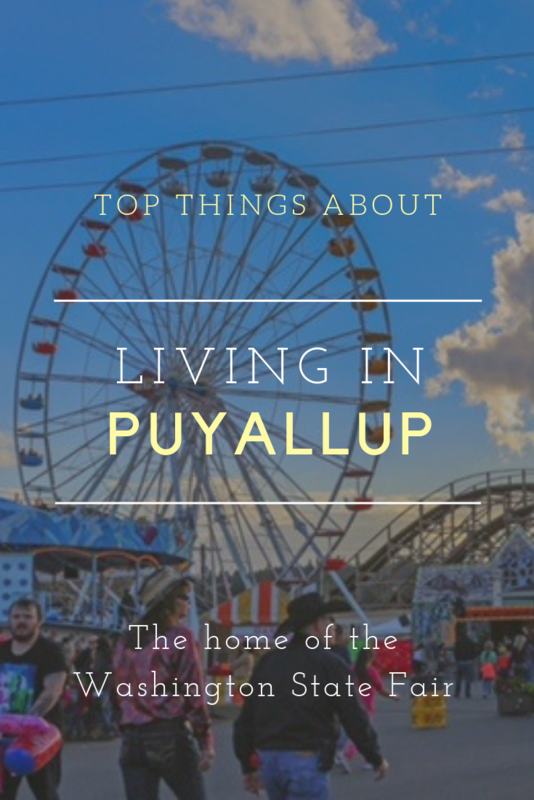 It is totally understandable that many families and young professionals see Puyallup is an ideal town to live.